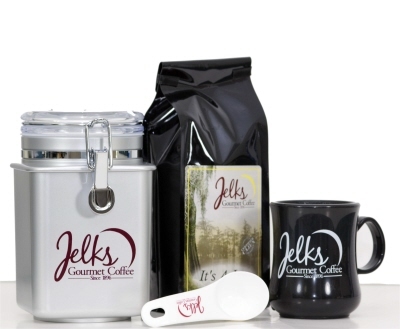 Just image a slice of coconut pecan pie and a great cup of Jelks Coffee. That is what you get when you brew a pot of this fresh roasted Coconut Pecan Coffee. A great blend of Southern pecans and Tropical coconut flavors make up the coffee which is fresh roasted daily. 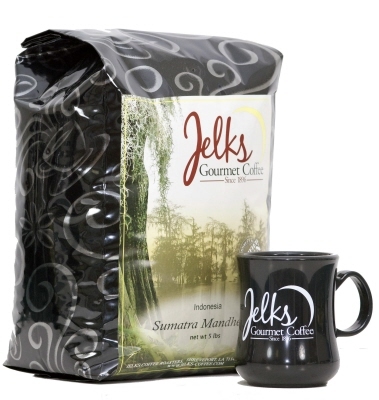 Coconut Pecan flavored coffee is available in 12 oz and 5 lb bulk coffee bags. Just image a slice of coconut pecan pie and a great cup of Jelks Coffee. That is what you get when you brew a pot of this fresh roasted Coconut Pecan Coffee. Coconut pecan coffee is available in 12 oz or 5 lb bulk flavored coffee bags.